Copperwood broke ground in fall 2015 for a family of four seeking an energy efficient, modest, modern dwelling. The site’s name, originated by the owner’s son, was inspired by the color of the surrounding woods and landscape; an untouched natural site adjacent to farmland and bustling with wildlife, but itself not ideal for agriculture. Ultimately, the design solution was a balance of the unique site opportunities paired with the owner’s simple lifestyle needs and love of travel. Of the 20 acres, about 3 were available for construction, with much of the remaining acreage wetlands. Of those 3 acres, an abandoned pipeline intersected from northwest to southeast, helping to further narrow and refine the possible locations and design concepts. 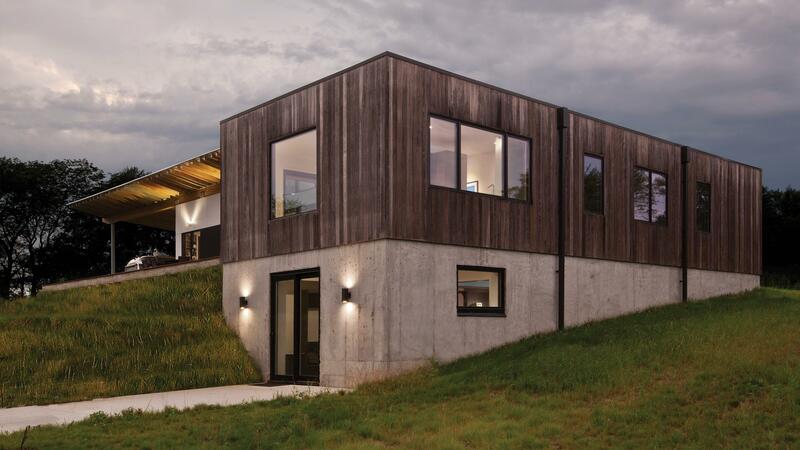 The architects, HAUS, chose to specify thermally modified American ash for the exterior walls of the house. 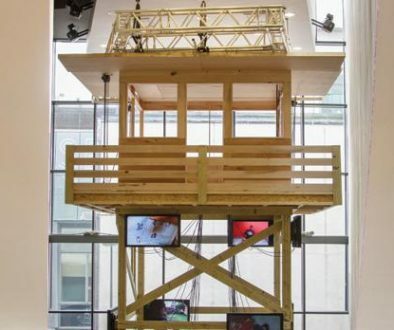 “Our clients asked if we had ever used thermally modified wood. The answer at the time was no, so we then researched the product and found the closest supplier to be Woodhaven, out of Kansas. Ultimately, we liked the appearance of the thermally treated ash samples more than some of the others. Grain and color was the biggest factor – ash had a more visible grain – whereas, some of the other species had a less-pronounced grain.” – Christopher Short, Principal of HAUS Architecture. The owner of the house chose not to protect the thermally modified material through oils or lacquer and instead let the material naturally weather into a darker grey. 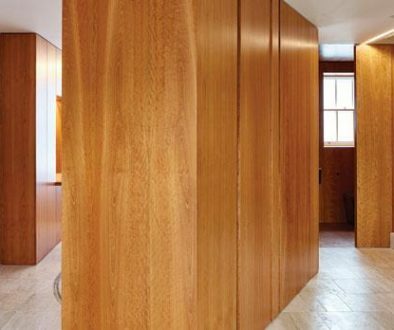 HAUS were set on detailing the wall as a rain screen system, and Woodhaven, who supplied the timber, offered a clip/furring system supporting that approach, allowing water to drain out of the wall cavity. In the Indiana climate, the architects expect the material to last about 25 years. The exterior materials are continued through the interior to the bedroom wings and the stair wall cladding and, although the interior has lightened somewhat, remains true to the thermally treated ash’s original base colour. 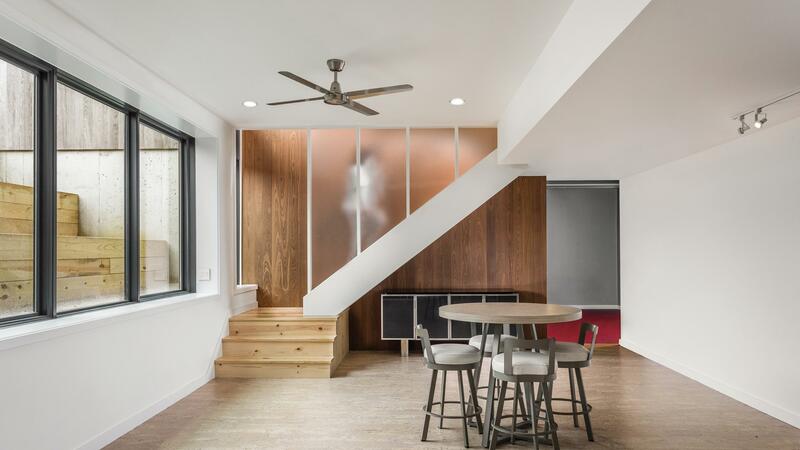 “The external use of thermally modified American hardwoods is growing significantly year on year not just in Europe but around the world, including in the USA, as this project demonstrates. 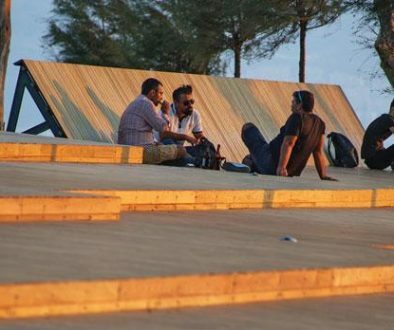 Thermal modification (TMT) turns non-durable hardwoods such as ash and tulipwood into durable materials that don’t decay or deteriorate in outdoor use. Architects therefore have a sustainable timber option that ages well, without finishing, and provides increased stability in use. 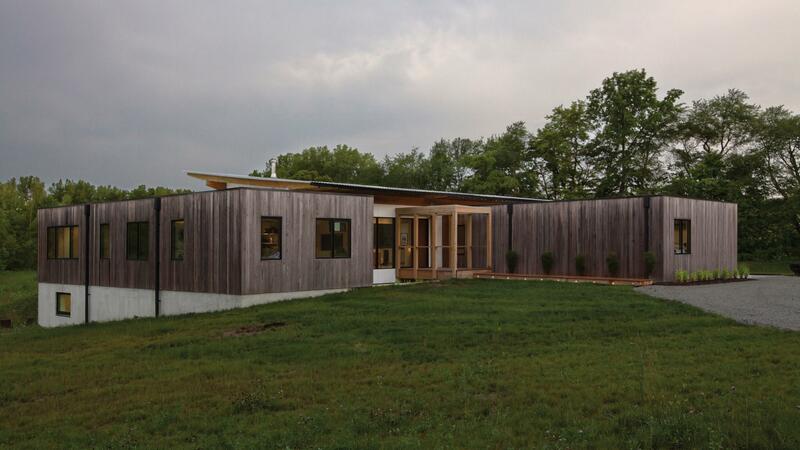 The latter fact, together with the rich darkening of the wood means that TMT hardwoods are also being used internally as well as externally as HAUS Architects have done in this striking dwelling in Indiana.” – David Venables, AHEC’s European Director. 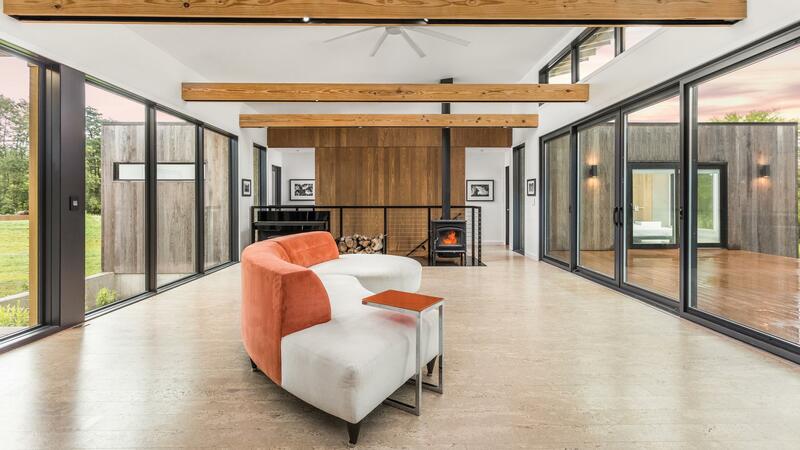 The architects, HAUS, wanted to design the spaces for passive solar with an east-west primary orientation, but this was counter to the angled pipeline. Ultimately the pipeline became a major driver of the design concept, resulting in an offset series of bars forming bedroom wing, living wing, and garage wing – each perpendicular to the other forming a z-layout. Each component steps with the angle while maintaining the desired solar orientation and orthogonal relationships, which also happened to work perfectly for desired views and site access. 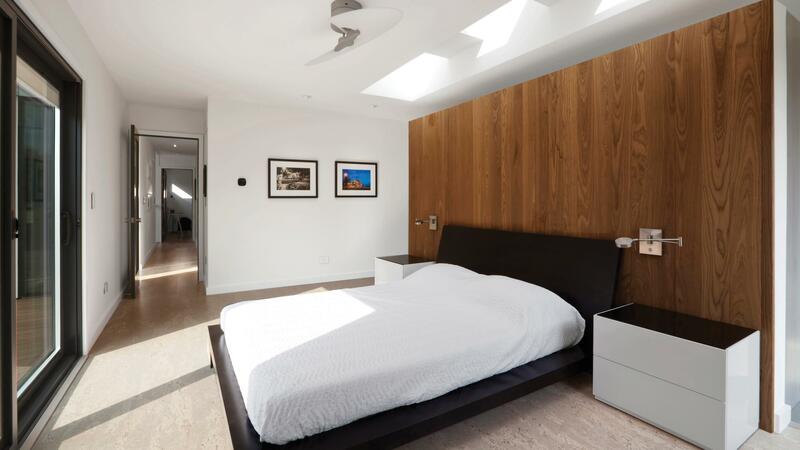 It was no problem achieving abundant natural light to the primary living spaces and bedrooms, but we also wanted a nice quality of light in the lower level, which includes a partial walk-out to the south. The desire for more light led to a north-facing light-well garden on the entry side of home, which then led to the idea for the covered bridge feature. It was important to the client that the final product met the Architect’s design-intent and that the process was efficient; therefore, Architect also served as the construction manager for the project via sister company (WERK | Building Modern), leading the entire team, including Owner, who assisted with interior finishes design/coordination/oversight. The project was substantially-complete in late September 2016.